His extensive knowledge of the court system gives him the ability to fight for his client's best interests at all times. With over fifteen years of courtroom experience, Gerald Mueller has developed the skills and experience to aggressively fight for your rights. Our practice focuses on criminal defense ranging from DWIs to misdemeanors to serious felonies. We also handle personal injury cases involving automobile accidents, motorcycle accidents, premises liability, trucking accidents, and any other case where you or your loved ones have suffered physical or financial loss due to the negligence of another. We understand that behind every legal situation there is a person worried about their future as well as an entire family that can be affected. Criminal charges are serious business. We treat each of our clients with respect and with a commitment to defend your rights aggressively. Gerald Mueller's experience gives you the confidence that your casebe it criminal or injury relatedwill be handled in the proper manner whether that is taking the case to court or negotiating a settlement. The law office of Gerald Mueller, LLC, is located in Columbia, Missouri, and serves clients in the following communities: Boone County, Callaway County, Cooper County, Howard County, and Randolph County including the cities of Columbia, Fulton, Boonville, Fayette and Moberly. Gerald Mueller's practice is focused on defending clients with their legal matters in all types of criminal cases including DWI, drug crimes, traffic violations, felonies and misdemeanors. 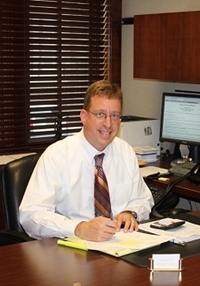 He has also successfully represented personal injury clients. Gerald Mueller's experience and knowledge in these areas of the law have allowed him to obtain the best possible outcomes for his clients in his many years of practice. He has extensive courtroom experience and will not hesitate to take a case to trial if that is in the best interest of his client. Your attorney is your strongest asset in any legal proceeding. It is very important that you make the proper choice when choosing someone to defend your rights and liberty. Gerald Mueller's expertise, combined with his positive working relationships with judges and prosecutors, gives you the representation you need to maximize your chances of a positive outcome. Please contact Gerald Mueller at 573-355-9262 or by using the email form on this page to discuss your legal issue. Provide as much information as possible regarding your inquiry. While this contact does not serve to establish an attorney/client relationship, it will allow our legal team to begin an assessment of your case. A good criminal defense attorney can identify any procedural errors that might have been made during your arrest. Law School: University of Missouri-Columbia, School of Law, J.D.